Articulated front-end designed to keep all four wheels on the ground in rough terrain. 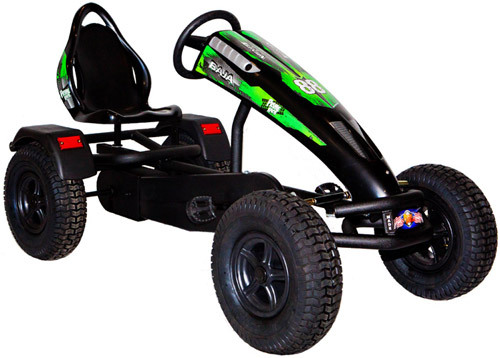 I don't personally own a pedal kart yet but I rode this model at a campground this Summer and it was awesome!! My family had a blast on these karts. They seem very durable too. Based on renting one at a campground, I would recommend it to anyone. They are so much fun and I was told they are Made in the USA. I love that you can still get some quality products in America.